Question: How do I get startup money for a business? For startup money for a small business, most people starting their own businesses reach into their own pockets first – even if they also intend to get debt financing in the form of a small business loan from a financial institution or some form of equity financing from angel investors or venture capitalists. If you don't reach into your own pocket first, you'll probably be asked to when you're trying to get financing. Almost all lenders or investors expect the person seeking a business loan or equity investment to make a personal financial contribution. If you are not confident enough in your business idea to risk making a personal investment, they figure, why would anyone else? If you don't have ready cash on hand, look to your personal assets as possible sources of startup money for a small business. This includes real estate, vehicles, retirement accounts, stocks and bonds, or any other asset that can be mortgaged, sold for cash, or used for collateral. Home equity loans are one of the most cost-effective ways to borrow as the interest rates are very low compared with other types of financing. Financial institutions will typically lend up to 80% of the value of a home. At the other end of the spectrum, credit cards are a common source of startup money for asset-poor entrepreneurs even with the high rates of interest. What can you do about finding money to start your own business if your own pockets are empty? You might turn to the second most popular source of small business startup funds - family and/or friends. This kind of small business financing often takes the form of a personal loan. Statistics indicate that approximately 50% of private investors in businesses are family members, 30% are friends and neighbors, and the remainder are colleagues or strangers. Aside from having a high degree of trust in you, a private investor must be able to afford to invest in your business. Many private investors are high net-worth individuals with prior business experience. Loans from one or more family members to another can create jealousy and/or resentment among other family members. If the business does not succeed and you are unable to repay the loan(s) your relationship with the family/friend lender(s) may be permanently impaired. Family or friends who have invested in the business venture may feel they have a right to make or participate in your business decisions. To avoid issues that stem from a lack of clarity make sure that (with your lawyer) you draw up proper documentation for the loan(s), spelling out details such as repayment terms, interest rates, and the fact that as the owner you make the decisions regarding the operation of the business. Review and sign the documents with your family/friend lender(s). Without the above your chances of obtaining a loan from a financial institution are slim - statistically 80% of small business owners are denied financing from institutional lenders. In the U.S., the SBA offers a variety of loan programs to assist small businesses, including startups. The government of Canada offers special funding for small business startups through the Business Development Bank of Canada (BDC). If you're a woman entrepreneur in the U.S., you may want to apply for some of these Small Business Grants for Women. Small Business Loans for Women in Canada provides information on small business loans that are only available to women. If your startup financing requirements are less than $20,000, a micro loan may be what you need. See Micro Small Business Loans: Does Your Business Need Capital Injection? (U.S.) and 20 Sources of Micro Loans for Starting a Canadian Small Business. 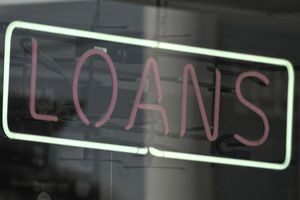 If you are thinking of seeking a small business loan for your new business, How to Get a Small Business Loan explains how to make a successful loan request.